Here at Atlantic Shopping, we're dedicated to providing our customers with a wide range of unique designs that are guaranteed to draw attention and make a lasting impression on any environment. This is proving successful as, in addition to a variety of domestic and commercial settings, we've had many of our stools and chairs featured on TV. 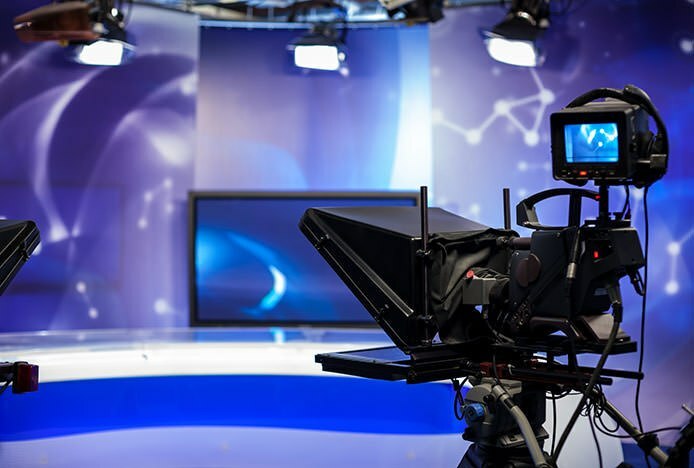 Not only have we been approached on numerous occasions by television producers and directors, but set designers looking to set their show apart from the crowd are also singling out our products for use on TV. And with our unique trend setting designs that can be found nowhere else in the UK along with our growing reputation for excellent customer service, it’s no surprise! A tempting selection of the various television appearances made by our bar stools and chairs is provided below, with convenient photos and links to transfer you to the A-list product pages. "As we consistently aim to provide the best quality products at a competitive price, the extent of this business from such high profile clients justifies that our products are being recognised for their quality as well as their distinctive appearance. Additionally, being featured in such varying programmes displays the versatility of our products, proving that they are not solely limited to specific areas within the home." A firm favourite in ITV’s daytime programming, Loose Women is a lively lunchtime chat show which has proven undeniably popular. Hosted by four interchanging female panelists who aren’t afraid to speak their mind, discussions span current affairs to showbiz gossip, along with celebrity guest interviews. And what’s more, in a recent studio makeover our Starz Brushed Real Leather Stool Cream was added to the star-studded line up. Providing their A-list users with quality comfort as they debate the hot topics, the Starz boasts a sumptuously padded leather seat in a chic shade of cream. With a trendy brushed steel frame, it successfully lends a cool and contemporary aesthetic to the modern studio setting. Channel 4’s popular property programme, Location, Location, Location, sees much-loved TV duo Kirstie Allsop and Phil Spencer help prospective buyers negotiate the housing market in search of their ideal home. As Phil met up with a couple to discuss – as the name suggests - their chosen location, eagle-eyed viewers may have spotted our Oracle Brushed Steel Stool Grey lined up along the bar in the background. With a cool contemporary design that’s instantly recognisable, the chic minimalist styling of the Oracle beautifully compliments the simplicity of the restaurant’s bare white brickwork and grey paneled bar. Radiant in the glow of the blue fairy lights strung along the counter, the sleek faux leather seat and elegant brushed metalwork exhibit their signature stylish sheen. With the 2013 final watched by a groundbreaking 9 million people, passionate viewers glued to their screens every week, the Great British Bake Off is fast becoming one of the most popular TV shows of recent years. The tense eviction forming the most integral part of the show, we were delighted to see the Cube Bar Stool White used by the nerve-wracked contestants as they learn their fate. Additionally, it’s frequently used as a perch for the bakers as they wait anxiously by their ovens, demonstrating its versatile qualities. A backless beauty, the sumptuously padded Cube is - much like Bake Off itself - a modern twist on tradition that is guaranteed to draw attention. A new show to grace our screens is Good Morning Britain, an ideal weekday wake-up that covers everything from the latest news and showbiz gossip to up-to-date weather reports. Those watching will have seen our stylish Nero Brushed Stool White used when interviewing guests, the a chic white faux leather complimenting the sleek minimalist décor in the studio. Or over the summer, various celeb interviews have taken place outside to make the most of the good weather - the beautifully muted sheen of the brushed steel frame glistening in the sunlight. With London’s Southbank offering a stately backdrop, presenters Susanna Reid and Ben Shepherd talked to Peter Andre about his music tour, all perched on the Nero’s comfortable padded seat. A dating show with a difference, Dinner Date “puts love on the menu”. The lucky singleton goes for dinner at three blind date’s houses, each of whom will try to woo them with good food and good conversation in the hope of being chosen as winner. Below you can see our immensely popular Candy Chair being used in the kitchen of one such suitor. Whilst you can buy them in a single shade, many of our customers choose to mix and match for striking effect due to the cornucopia of vibrant colours available, as seen here. Supremely stackable for compact storage, extras can be set out when hosting large dinner parties or easily stacked away when it's a romantic dinner for two. Presented by Keith Lemon, Celebrity Juice has become a hugely popular comedy panel show on ITV2. Known for its outrageous games, it features team captains Holly Willoughby and Fearne Cotton who join in with the crazy capers. As pictured, Holly and Fearne have recently been spotted sitting on a pair of our gorgeous Bucketeer Chairs during one of these outlandish games. Available in a variety of vivid colours and offering quality comfort, it’s a funky and versatile design that will enhance any interior. Raised on a sleek chrome stem and with the ability to rotate 360 degrees, the Bucketeer is an all-round delight that is sure to add a touch of celebrity to your home. A popular fixture on the ITV1 daytime schedule, The Alan Titchmarsh Show is an enjoyable magazine show that features celebrity interviews, informative segments and live demonstrations. In addition, it also features a number of our outstanding Aero Bar Stool Black, seen on the set in all their glory in the corresponding photograph. Used throughout the show for various interviews with celebrities and experts alike, the Aero exudes star quality. Boasting a sturdy fixed height, polished chrome frame and a minimalist seat design with a low backrest, its simplicity makes it a versatile product suitable for a wide variety of settings. The Chase is staple teatime viewing in many homes across the UK. Presented by comedian Bradley Walsh, it consists of a team of contestants individually taking on a quiz expert known as ‘the Chaser’ in order to win money and secure their place on the team. Whilst they tensely await the fate of their fellow contestants, the existing team members perch on the ever-popular Pluto Bar Stool Black. With a plush black faux leather seat, corresponding padded backrest and cool chrome armrests, it combines all-encompassing comfort with minimalist style. Unquestionably good value for money, cut to the chase and take a look at the versatile Pluto today. An original take on traditional health shows, Channel 4’s Health Freaks focuses on home remedies. Taking a close look at one alternative treatment each week, Dr Pixie McKenna and her fellow GPs examine their effectiveness, and take polls to see public opinion on their results. Within the studio, the doctors and potential pioneers discuss their findings each week whilst sat upon our stylish Replica Tolix Stool Grey. Fixed height and backless, the Tolix is inspired by a renowned, minimalist design which utilises a cool steel frame for a contemporary look. Suitable for use in a multitude of bar areas, there is certainly no debate surrounding the effectiveness of the Tolix’s tempting design. Replacing GMTV, Daybreak stepped in to ensure the country got their morning fix of news, weather, lifestyle and entertainment gossip, along with ever-popular celebrity guest interviews. It also showcased our bestseller, Lush Brushed Steel Bar Stool in classic cream, a firm favourite with many due to its ergonomically padded seat renowned for its premium levels of superstar comfort. Pictured is Miley Cyrus talking to Aled Jones about her new musical direction, the elegant sheen of the brushed steel frame emitting a sleek shimmer under the studio lighting. With a trendy stitched panelling it offers real VIP treatment that’s not to be missed. Always superbly furnished in its signiture ultra-modern style, it is no surprise that over the years a number of our gorgeous products have been used in the Big Brother house. Amongst them is the pictured Quantum Bar Stool Cream, whose chic design was employed as a distinctive focal point in the kitchen during the 2012 series, giving a sense of class and comfort to the various housemates. Additionally the incredibly funky Ball Stool was used as a retro addition to the house, providing a visual treat for viewers and becoming a unique feature in the room. Continuously praised for its innovative and fashionable interior design, we are delighted to be counted as one of the show's suppliers with the ability to showcase our truly fabulous designs. From the legendary Julie Goodyear to the flamboyant Louis Spence, our products have seated a number of the Celebrity Big Brother housemates over the years. Selected and used in multiple series of the show, both our bar stools and chairs have frequently taken pride of place in the house - renowned for its fabulously futuristic and often trend-setting style. As seen in the picture, the luxurious Mercer Chair is amongst these, employed in the 2013 series as a comfortable seat for the celebrities taking part in a secret task. Upholstered in plush white faux leather with a decorative quilted stitching, this marvellously minimalist piece showcases the true star quality our products possess. At Atlantic Shopping, we are utterly delighted that our sumptuous Monza Bar Stool Black has been used to seat both contestants and presenter Chris Tarrant in various episodes of the famous quiz show Who Wants To Be A Millionaire. The use of the Monza as the legendary and widely recognised 'hotseat' even extends to its inclusion in celebrity editions featuring the likes of Olly Murs and David Walliams. Padded and ergonomically designed for maximum comfort, it is easy to see why it is the perfect choice for contestants wanting to sit back and relax whilst under the stress and intense pressure of the show's questions. Therefore, for a stool that is certain to make your room feel like a million dollars, follow the show's example and get your hands on the Monza. The London Olympics Games 2012 captured the hearts and imagination of the world, and here at Atlantic Shopping we are proud to say we played our own special part in the magnificent Games. Receiving a great deal of praise for their informative coverage during those two incredible weeks, the BBC also used a number of our gorgeous products as seats for the pundits and guests, including the Prism Bar Stool Cream, now called the Diamond. The chic Evelyn Chair was also featured heavily during the trackside coverage of the athletic events, seating Olympic legends such as Denise Lewis and Michael Johnson. A sophisticated and versatile chair, its generous padding and adjustable height means that it would certainly receive a gold medal for comfort and style. Not only that but due to its unbeatable popularity, the Evelyn was also used by commentators for the Glasgow 2014 Commonwealth Games. Back in 2009, the televised launch of the UK bid for the 2018 World Cup was a huge talking point and included appearances from a number of sporting stars and notable personalities. Therefore, to provide a seat with maximum comfort combined with A-list style, our Lattice Bar Stool Cream took centre stage throughout the proceedings. Although the UK was sadly unsuccessful in the bid, these luxurious, padded stools made a memorable statement and seated the likes of Gordon Brown and, the one and only David Beckham as seen in the picture. Boasting a handy gas lift mechanism for adjustable height and excellent back support, it is certainly an example of excellence for anyone who is looking for a design that combines comfort with practicality. Contrasting the dramatic nature of the soap itself, the Gloss Coco Bar Stool White's simple and contemporary design has been spotted as a principal piece of furniture used by set designers in Eastenders' hunk Jack Branning's kitchen. A popular and minimalist stool, the Bamboo certainly suits fashionable Jack's character. The modern design and high gloss white finish gives it a stylish and polished effect that also offers variable height and 360-degree swivel for efficiency, meaning it is adaptable to any funky domestic or commercial setting. Not only that, our ever-popular Drift Oak & Grey Bar Stool was also featured in Mel's kitchen, adding a funky fixed height design that gives the space a fresh update. Famous for brightening up our mornings with her bubbly personality and chatty interviews on the sofa, we were delighted that Lorraine Kelly's studio also plays host our unique products. Utilised for the fashion and style segments of the show, the sumptuous Rochelle Brushed Steel Stool White is a well-chosen item as it similarly exudes an undeniable amount of style and sophistication. Quilted for comfort with a distinct backrest for support, this faux leather stool is therefore perfect for any minimalist bar area, whilst its crisp white colour is adaptable to all types of decor. A gas lift mechanism provides variable height and full 360-degree swivel, making the Rochelle well worth waking up to in the morning. At Atlantic Shopping we can now officially consider ourselves ''reem'', as our gorgeous Brushed Crescent Bar Stools were featured in the kitchen of one of the stars of reality TV hit The Only Way Is Essex. Although this range has changed since the show was aired (with the pink colour unfortunately no longer available), the Brushed Crescent stool itself remains one of our best-selling items - its padded seat and statement shape available in a wide range of vivid colours that will enhance any bar area. However if it is a touch of pink that you're after, you're not limited to this design, as we stock a variety of pink bar stools which similarly radiate girly glamour. Sure to make all your friends ''well jel'', take a look and get your hands on one of these eye-catching designs today. The popular consumer rights show Watchdog has been a staple on our screens for more than thirty years, and presenter Anne Robinson is known for her no-nonsense approach when interviewing the various guests. Clearly the show's set designers also took this approach when selecting chairs for the studio, and chose to use our stylishly no-nonsense Clementine Chair Cream. Used weekly as seats for the guests receiving a grilling from Anne, the Clementine features a crescent style seat that sufficiently contours to the body, and is densely padded for comfort. Available in a wide variety of versatile colours, it is a funky chair with contemporary credentials. Clearly believing that our bar stools exude Perfection, the BBC appear to have purchased one of our Orlando Stools to take on the role of the hotseat for the contestants participating in the popular daytime quiz show. The Orlando has a distinctive shape and includes a padded faux leather wraparound backrest for maximum comfort, whilst simultaneously demonstrating a unique feature. Additionally, it possesses a slender chrome stem which houses a gas lift mechanism for adjustable height and effective 360-degree rotation. With a bar stool like the Orlando, it's effortless to achieve perfection in your home. Providing a contemporary and light-hearted twist on the traditional matchmaking show, Sing Date uniquely combines finding romance with a shared love of karaoke, and has certainly become the guilty pleasure of many in recent years. Therefore we were pleased to see that in their crucial final duet, the singletons are stylishly seated on two of our trendy Niagara Bar Stools - an outstanding waved seat design in the style of a waterfall, complete with stylish jawdrop footrest. Enabling the pair to make sweet music together, these stools are also a comfortable and minimalist choice that would be a striking addition to any environment. What are you waiting for? To bag your own piece of showbiz history, click the button below to shop our entire range of fabulous bar stools. Browse a range of one-of-a-kind designs exclusive to Atlantic Shopping..